It is hard to believe that we are reaching the middle of 2017 already. The past six months have been busy times of rebuilding and new growth for HBM, and it is a blessing to look back to celebrate and reflect on the first half of 2017. Click through the pictures below to get a recap of 2017! Though there was political unrest in Jeremie in January of this year, our staff continued to minister to their communities by distributing relief supplies to those in need. Even more homes were completed in the Te Wouj area with the Student Home Rebuilding Project, providing many rural families with homes to rebuild what was lost in Hurricane Matthew last year. 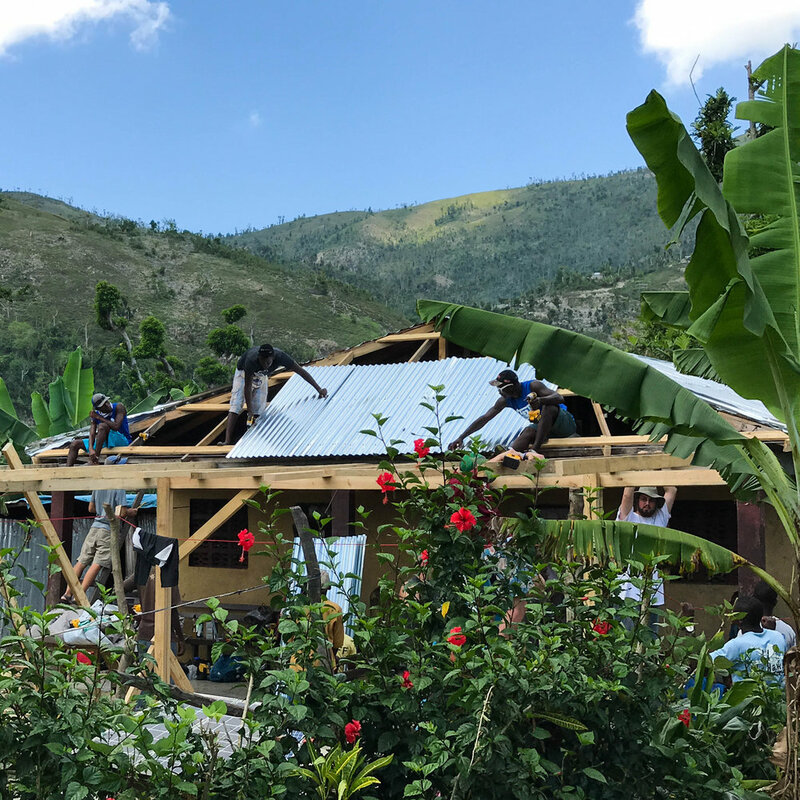 February was a big month in the partnership between HBM and Mission of Hope: Haiti to put roofs on 175 homes in Bonbon, as well as 75 in Jeremie. HBM hosted four MOH teams to help complete this project, and, by God's grace, thousands of lives were impacted. Several homes were also built for dear members of our church community at the Point in Jeremie. These families were living in dire circumstances, and we were honored to be able to minister to these families and community in this way. March was a big month for the school as the building was completed, and a team from Grace Bible Church came to put the roof on for our students to begin meeting there. The team battled significant rainfall to get there and got a significant portion of the roof completed in the short time they had. It was a great blessing for teachers and students to meet there after months of meeting under temporary tarp structures! The month of April brought continued heavy rainfall, but our team from Moses Lake still crossed rivers to help beautify the school by painting a mural and putting a roof back on the bathroom. They also were able to rebuild the roof on Madam Joel's orphanage in Chambellan, completing much of the building that had to be done since Hurricane Matthew. They are always such a blessing to our communities! 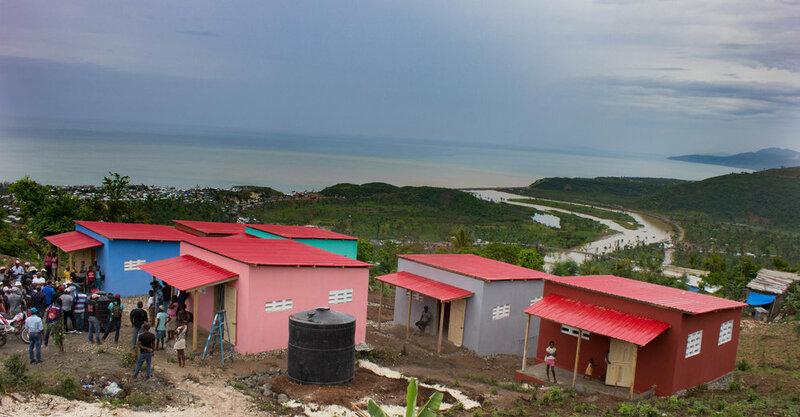 We have had the pleasure to partner with Mission of Hope: Haiti and New Story Charity to build homes for those in need both in Bonbon and in the city of Jeremie. With the project completed at the end of April, we have the pleasure to see families occupy the homes in the month of May. We were also able to complete other small projects in the area, including a public restroom to benefit the community near of St. Helene. This past month has brought us two amazing groups from Inman First Baptist Church who have joined us in serving so many ways. The first team built benches for our church and school, and they also put roofs on three homes! 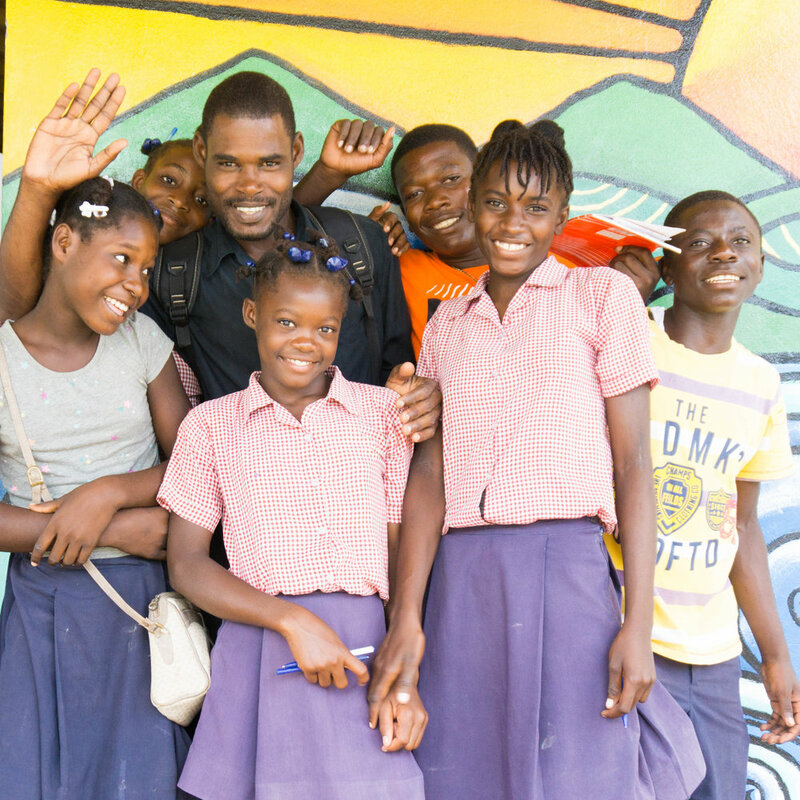 The medical team partnered with Doctor Lafortune, who practices in Jeremie, to continue building that relationship and learning from medical treatment in Haiti. Together, they treated over 350 people in five days of clinic! A great form of outreach in Jeremie are public works projects that benefit the community, create jobs, and opportunities to share God's love. Some of these projects include public restrooms in several areas ($3,000 each) and a wall around the soccer field in St Helene for events ($1,800). If you would like to partner with us, just click the donate button below, choose the category "General" and type "Public Works" into the comments. God has been using and stretching both the staff and teams at HBM this year, and we eagerly await what He has in store for us in the following months. Our discipleship course is getting kickstarted in just a few weeks by a Leadership Conference led by Dave Wiedis of Serving Leaders Ministries. 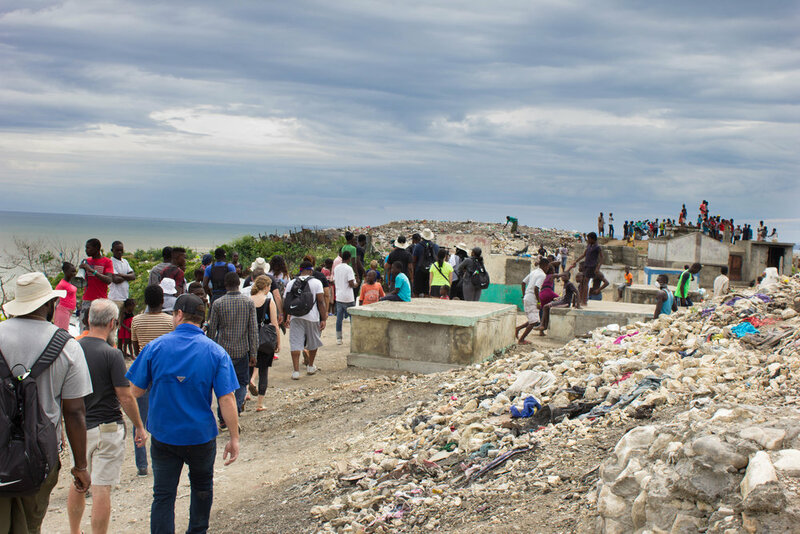 There are also more projects ahead that you can come alongside us at HBM to reach out in our communities as we continue a year of rebuilding in Jeremie, Haiti.